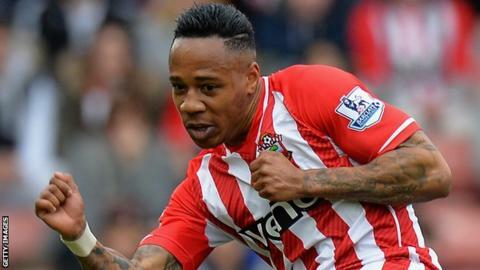 England defender Nathaniel Clyne says he is happy at Southampton despite being linked with a number of clubs. The 24-year-old, who joined from Crystal Palace in July 2012, is under contract until the summer of 2016. "I am happy playing for Southampton and happy to stay at Southampton as well," Clyne told the Southern Daily Echo. Saints boss Ronald Koeman hopes the right-back will sign a new contract and wants his future sorted before the end of the season. "I am enjoying my football for Southampton, playing week-in, week-out, and it is an up-and-coming club," added Clyne, who made his England debut in November. "My agent is negotiating, so I will just leave it with my agent and I am just going to concentrate on playing my football." Clyne recently said he believed the Champions League was the "next step" in his progression. After pushing for a top-four finish earlier in the season Southampton have faded recently and sit seventh with three games remaining, eight points off the final Champions League berth.